Freshly graduated from Yale in 1935, Henry J. Kapler parlays his talent, determination, and creative energy into a burgeoning art career in New York under the wing of artists such as Edward Hopper and Reginald Marsh. The young artist first gains notoriety when his depiction of a symbolic, interracial handshake between ballplayers is attacked by a knife-wielding assailant at the Corcoran Gallery in Washington. Yet even as his art star rises, his personal life turns precarious--and perilous--when his love for Fiona, a young WPA muralist, collides with his growing attraction to the exquisitely beautiful Alice, an ex-chorus girl who becomes his model and muse. Alice is the girlfriend of Fiona's cousin, Jake Powell, the hotheaded, hard-drinking outfielder for the New York Yankees whose jealousy explodes into abuse and rage, endangering the lives of all three. While Henry wrestles with his complicated love life, he also struggles mightily to reconcile his pacifism with the rabid patriotism of his Jewish-Russian migr father. As war draws near, Henry faces two difficult choices, one of which could cost him his life. 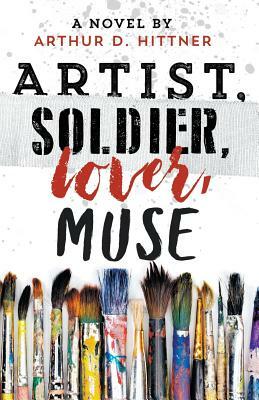 Artist, Soldier, Lover, Muse transports the reader to pre-war New York City, into the creative mind of the artist, and into the lives of major figures from the worlds of art, sports, and politics. In the tradition of art-centered fiction such as Donna Tartt's The Goldfinch, Dominic Smith's The Last Painting of Sara de Vos, Tracy Chevalier's Girl with a Pearl Earring, and B. A. Shapiro's The Art Forger, it will appeal to art lovers, sports enthusiasts, and lovers of smart historical fiction.